* Generally we offer this program twice a day during the above times, however early morning and sunset programs may also be available. If you would like to request this program please specify so at the time of booking. You will enjoy the seasonal flowers and mysterious spring water and so on! Our experienced local guide will take you to the best spot on that day. In this tour, we use Canadian canoe which is stable and easy to control so that anyone can enjoy! 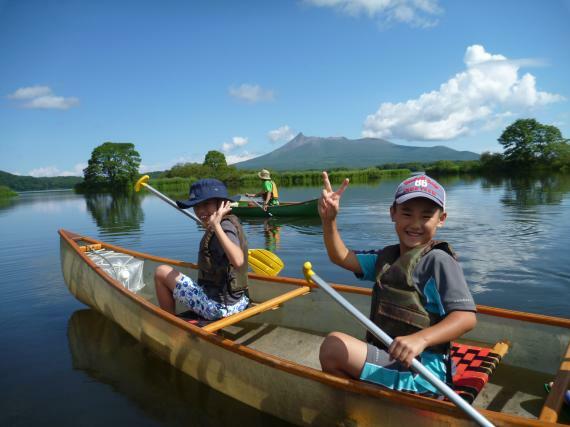 Canoeing in Onuma is for enjoyable for everybody even you do not have any experience! Please enjoy with your family, your partner and friends! 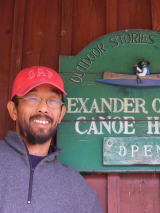 You will find our canoe house which was build by all our staff besides Konuma(small lake).We even made our own canoe! Experienced instructors will guide you to the spots where you can see beautiful flowers on the lake! # Preschoolers can join for free! 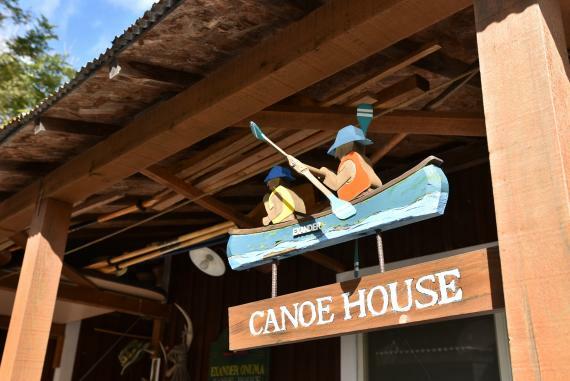 # We have a variety of canoes, for 2, 4, or 6 people. * We have all necessary canoeing equipment including paddles, life jackets, rain suit, etc. * Please wear comfortable, easy to move in clothing. <Spring and Autumn> Fleece, track suit or sweat shirt. * For footwear we recommend sports sandals. Free rentals are available here. Pick up and drop off services are available from hotels and stations in the area. Please ask at the time of booking. Please pay by cash on site. * We offer this program twice a day in the morning and afternoon, however early morning and sunset programs may also be available. If you would like to request this program please specify so at the time of booking. * Generally the tour will be held in moderate rain, however in the case of thunderstorms or typhoons the program may be cancelled. * We offer accident insurance through AIU insurance company, with maximum coverage of 100 million yen per incident for accidents or injuries due to negligence on our part. 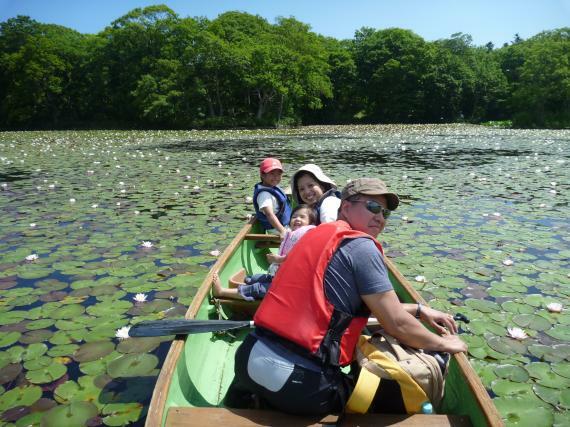 We provide you with a fun-filled tour through our staff members who know the Onuma area very well!